For nearly three decades, Rodolfo Sorto Aldana and Karen Sorto have lived in the same six-unit walk-up in San Francisco’s Mission District. Karen, who is from El Salvador, had traveled northward as a teenager to study in the U.S. Rodolfo followed soon after, and the two were married. Now in their sixties, they are part of a rich community of immigrants who have helped make the Mission one of the most sought-after neighborhoods in the Bay. A couple of years ago, the Sortos received a notice from the building’s owner informing them of the property’s impending sale to a private buyer. The sale would subject the couple’s rent-controlled apartment to market rates, some of the highest in the nation. In this once working-class Latino neighborhood, those rates now exceed $4500 a month for a two-bedroom apartment — far more than the Sortos could afford. The sale would likely have forced the couple out of their home, a scenario that plays out regularly in the intense housing market. 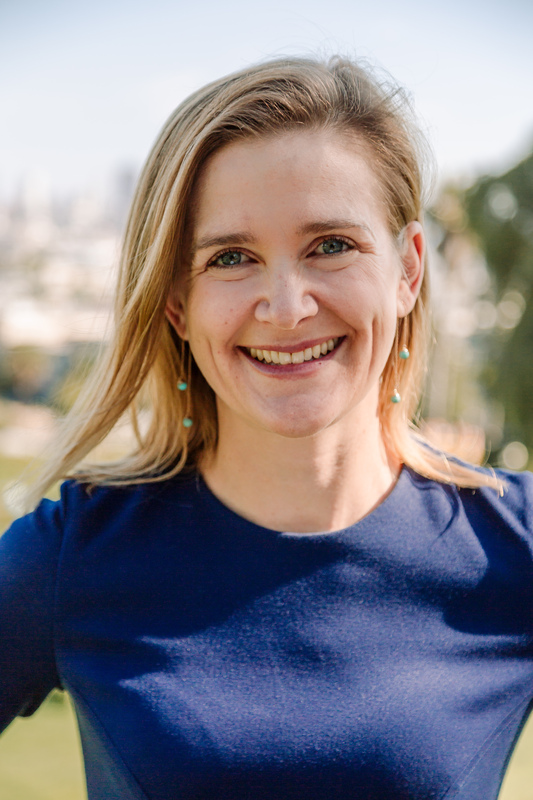 Former FUSE fellow Rebecca Foster is now executive director of the San Francisco Housing Accelerator Fund. But something else happened instead. Shortly after the sale was posted, a newly launched nonprofit called the San Francisco Housing Accelerator Fund (SFHAF) was able to make a $3.3 million bridge loan to the Mission Economic Development Agency (MEDA), an affordable housing developer. The loan allowed MEDA to buy the building, complete limited construction, and construct a new accessory dwelling unit in the building’s garage, according to Rebecca Foster, executive director of SFHAF and a former FUSE fellow in the San Francisco Mayor’s Office of Civic Innovation. Through the SFHAF loan and MEDA’s acquisition, the building will be stabilized at a permanently affordable rent level. SFHAF, a public-private partnership, is a San Francisco initiative taking root in a region that is desperately in need of affordable housing. The accelerator fund was first incubated in the Mayor’s Office and was spun out as an independent nonprofit in 2017 with the help of a $10 million loan from the city. SFHAF’s goal: to provide swift and flexible capital to nonprofit developers to preserve and expand the city’s supply of affordable housing. But to secure those funds, mission-oriented developers have to go through a lengthy engagement process. “From acquiring a site for the construction of future affordable housing to actually handing someone the keys to move into their new unit, that process can take up to seven years,” Foster said. Private developers who can charge market rents don’t have to rely on public sources of financing to subsidize long-term costs, so they can move more quickly to close deals. Foster, who had worked for years in the financial sector, was able to draw on her experience to structure a fund that could help affordable housing developers secure property more quickly, complete early stage rehabilitation, and add much-needed units of housing to existing buildings. Once the property is secured and preliminary construction repairs are completed, the city steps in to take over the long-term financing. So far, SFHAF has deployed $90 million of capital to secure 402 affordable homes in San Francisco. Other initiatives are taking cross-sectoral approaches to solving the housing crisis in the Bay Area as well. The newly launched Partnership for the Bay’s Future, for example, includes the Chan Zuckerberg Initiative, the San Francisco Foundation, and eight other community foundations and private companies. Launched in January 2019, the Partnership differs from SFHAF in that it’s regional — it operates in San Francisco, San Mateo, Santa Clara, Alameda, and Contra Costa counties — and has no structural connection to the government. The Partnership aims to address the region’s interconnected challenges of housing, transportation, and economic opportunity. Initially, it will focus on housing, notes director Georgette Bhathena, and will tackle the problem holistically with three components: a regional partnership to foster collaboration among the private sector, the public sector, and impacted communities; an investment fund focused on increasing housing supply; and a policy fund that supports policies to stem the tide of displacement and preserve and produce housing. Partnering with entities from different sectors in this way can help fill gaps in the funding continuum that would be difficult to fill alone, enabling a larger stock of affordable housing than would otherwise be the case. This compounding effect might explain why the ecosystem of cross-sectoral financing partnerships has grown in tandem with the housing crisis. Other funds in the region include the recently relaunched Transit-Oriented Affordable Housing (TOAH) Fund, which was seeded with an investment from the Metropolitan Transportation Commission, and the Golden State Acquisition Fund, which received seed funding in 2013 from the California Department of Housing and Community Development. There also are a range of Community Development Financial Institutions (CDFIs). Rikha Sharma Rani is a Bay-area based writer and journalist. Her work has been featured in The New York Times, CityLab, Politico Magazine, and more. This FUSE-produced story was originally published on Route Fifty.